Now you can select your wheel build hole count, front and rear. Blackset Race 26 wheels are built using light weight, alloy clincher road rims with an 18.5mm inner, 23mm outer profile. The number in the wheel set name, as in Blackset Race "26" refers to the rim height. Thus, the BSR 26 rim is 26mm tall, 23mm wide, with an 18.5mm inner width. The wide 18.5mm inner profile offers a smoother ride because the mounted tire will have a fuller profile. The BSR 26 rim profile was designed to offer both weight savings and strength, and employs a "large tube diameter" design concept in order to do so. 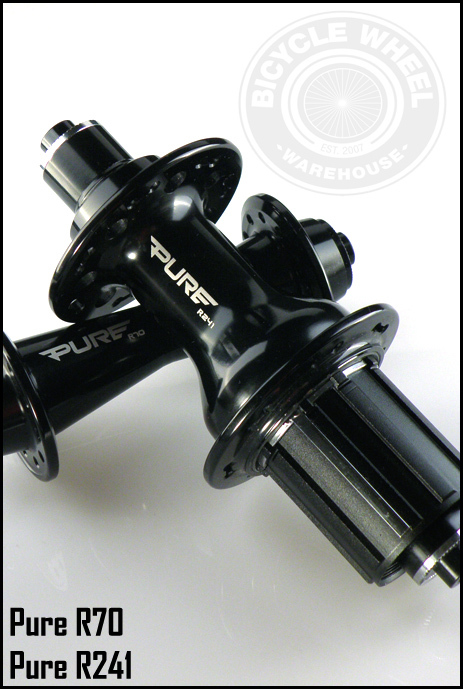 Wheels built with these rims are strong, durable, and are still very light weight. The BSR 26 rim does Not have a tubeless ready inner profile like the 24, 28, and 30 do. -Blackset Race 26 clincher rims are 26mm tall, with an 18.5mm inner, 23mm outer width, and weigh approx. 450g/ea. The rims come with Velox 16mm cloth rim tape, but it is not installed. 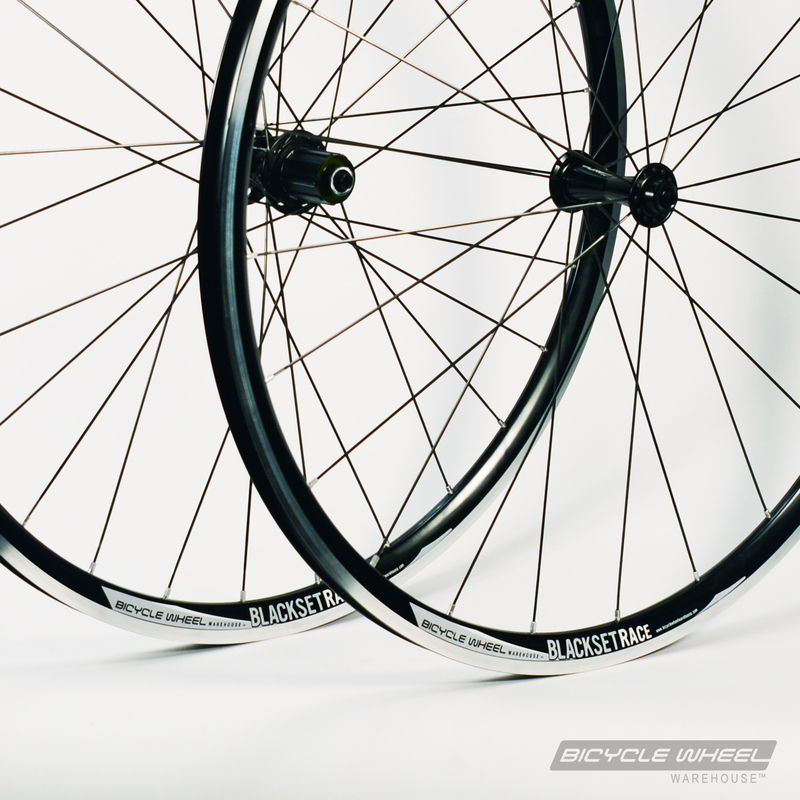 These rims are designed to work with inner tubes and clincher tires. -Compatible with a wide range of tires, 700 x 23c - 42c will all work.